Hello, and welcome to a new episode of Should I Start A Podcast. Today I have the immense pleasure of talking to a good friend of mine, Amber Hawken. 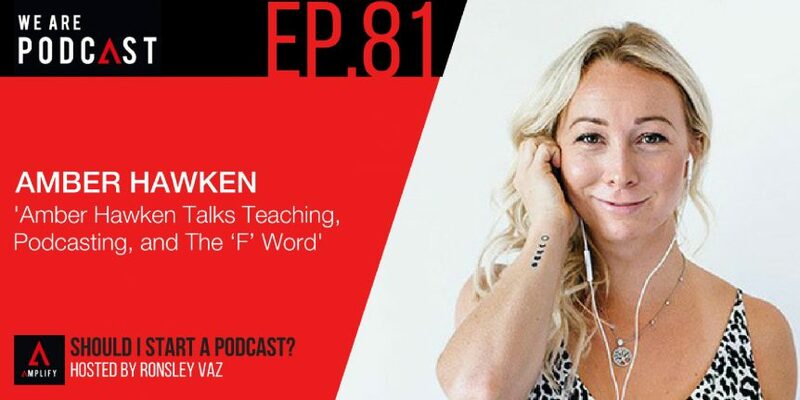 Amber is a podcast host, YouTuber, author, life coach, mentor and teacher. Qualified in a variety of different things like Mindfulness-based Cognitive Behavioural Therapy, Neuro-linguistic Programming and Deep State Repatterning Therapy and with a passion for volunteer work and helping people, Amber is one remarkable young woman. Her new book The Unfuckwithable Life is currently scandalising the self-help genre in the best way, and her unapologetic approach to life mastery enables her to reach even the most hard-hearted people.